The special thing about this device is that the firm has launched the smartphone with only 2 GB of RAM in China but in India, Lenovo has launched the device with 3GB and 4 GB of RAM in INDIA. It’s like a bumper offer to the Indian customers by the company. This news has been confirmed by the enterprise with a tweet on the Twitter. 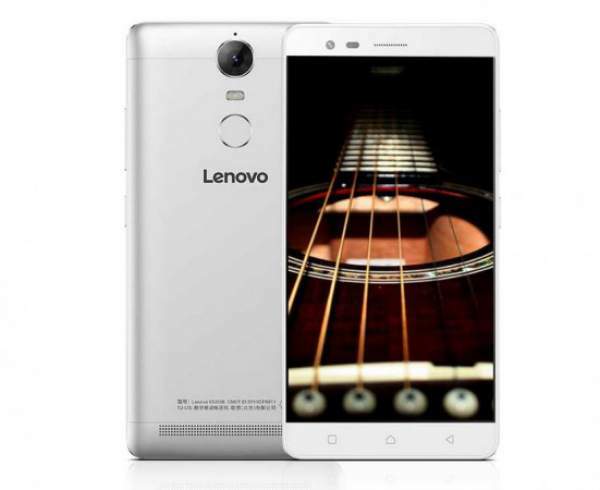 Regarding specifications, the new Lenovo Vibe K5 Note has a 5.5 inch Full HD (1920*1080p ) IPS display with 441 PPI (pixels per inch). The company is powering the phone by a 64-bit class 1.8 GHz MediaTek Helio P10 octa-core processor. In India, the device will have the 4 GB of RAM. The internal memory of the smartphone is 16 GB which can be extended up to 128 GB via memory card. The primary camera of the device is a 13.0-megapixel ISOCELL camera with F2.2 Aperture, PDAF (Phase Detection Auto Focus), dual-tone LED flash and full HD recording. The inbuilt OS of the phone will be Android 6.0 (Marshmallow) with Lenovo’s own Pure UI. The front camera of the smartphone is 8.0-megapixels which are quite good for the selfie freaks. Lenovo is powering the device with a 3500 mAh which will be non-removable. The talk-time of the phone is about up to 34.5 hours for 2G, 27.54 hours on 3G and 31.5 hours on 4G. The standby time is close to 543.5 hours for the 4G network. The company is making the smartphone special by providing some add-ons to the phone. The device has a full-metal body with the fingerprint sensor technology. The phone has two nano slim slots with VoLTE technology. The Wolfson WM8281 audio codec based earphones is also an important feature of the device. Like other Lenovo devices, Lenovo is powering the smartphone with Dolby audio system with surround sound feature. The dimensions of the device are about 152.0 x 75.7 x 8.49 mm and weighs about 150 gm. There were many rumors in the market about the sale of the phone on the e-commerce website Amazon India, but it has been confirmed that the device will be available on the e-commerce website FLIPKART from 3 August. The 2 GB variant of the smartphone was about Rs. 11,350 in China but India, it is expected that the device will be slightly expensive than the option in China. It will support the ANT VR headset along with TheaterMax technology seen in the K4 Note. The 3GB RAM model will cost 11499 while 4GB variant is priced at Rs. 13,499. It will compete with players like Xiaomi Redmi Note 3, LeEco Le 2, and Moto G4 Plus. Stay tuned to The Reporter Times for latest phone news and all other Technology updates across the world. Don’t forget to share it on social sites.